The more people I talk to the more people I realise are making the same mistakes at breakfast time. So many people tell me that they don't eat breakfast at all. This is a huge issue. Nobody can afford to miss breakfast least of all somebody that's trying to shed a few pounds. When you skip breakfast you enter into an extended period of fasting. This slows down metabolism, impairs your ability to burn calories and can force the body into storage mode. *You don't have to eat immediately after you rise! It can be up to 2 hours after you wake, so don't stress about getting it done ASAP, you have a bigger window than you think. Another common mistake is what people eat for breakfast, they're often making very poor choices. One of the most allergenic breakfasts you can eat is cereal and milk. 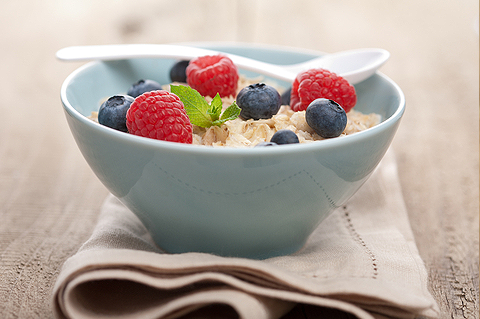 Despite what the tv ads say, no cereal is worth eating for breakfast. Why? It's heavily processed, high in sugar, contains wheat(to which the majority are sensitive due to the gluten! ), and is eaten with milk(to which the majority are sensitive due to the lactose!). Fruit for breakfast...think again. Banana's, pineapple, grapes, raisins. These are all high in fructose and therefore, just like most breakfast cereals, lead to a sudden spike in blood sugar first thing in the morning causing more cravings throughout the day and an increase in calorie consumption at lunch and dinner. So what can you eat? Try these easy breakfasts and see how they go. Scrambled eggs and grilled bacon. Porridge, made with water/milk. You can even add in a scoop of your favourite protein. Soft boiled egg with asparagus. Overnight Oats mixed with your favourite protein powder, nut butter and berries. All of these options, are low in sugar, high in protein and also provide healthy fats. They leave you feeling fuller for longer, help curb the cravings for snacking in between meals and can lead to smaller portions at both lunch and dinner. If you want to lose weight, or simply want to improve energy levels, I'd suggest you try a few of these and see what works for you.